For the health and nutritious conscious amongst you, getting plenty of fresh fruit and vegetables into your daily diet will be a top priority. Making sure that your family also does the same may be important to you. If you have college kids who are always busy and regularly rushing out of the door without sitting down for a proper breakfast, this is likely to be important to you. Anyone with a hectic lifestyle and for whom nutrition is a priority will appreciate one of the compact and convenient single serve personal blenders that are so popular these days. In a matter of seconds they allow you to whizz up a healthy, balanced, and nutritious meal in its own container. Better still, you should be able to simply swap the blender base for a portable, secure travel top and take your home blended smoothie with you, wherever you go. So let’s take a look which is the best single serve blender. If you and your family enjoy the healthy lifestyle then investing in a Blender is a wise decision, especially if you have a super busy routine and often find you have to eat on the run. 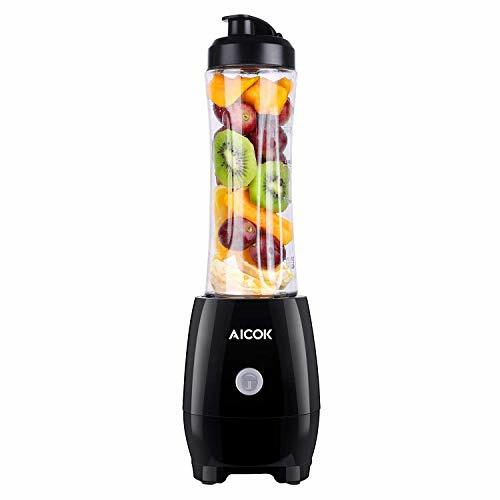 This AICOK personal blender couldn’t be easier to use, and you can create all kinds of versatile drinks from personalized blended juices, smoothies, protein shakes, and even baby food. It’s especially handy if you want to whizz up a quick breakfast in the form of a single serve smoothie. There is a handy detachable blade which makes it so easy and convenient to clean up, plus the serving bottle is not only BPA free, but it is also dishwasher safe. All you need to do is replace the blade lid with the re-sealable travel lid, and you can take a freshly prepared smoothie with you, wherever you go. Perfect for busy students or a post workout protein shake. There is also a safety lock design feature which means you don’t have to worry about the contents of your blender going all over the kitchen. The unit won’t operate unless it is securely locked in place. 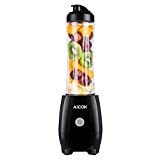 The 300-watt motor is more than adequate for tackling most fruits and ice cubes too, so there is plenty of versatility in the delicious and nutritious drinks you can choose to create; from smoothies to milkshakes or even blitzing up fresh home prepared baby food. 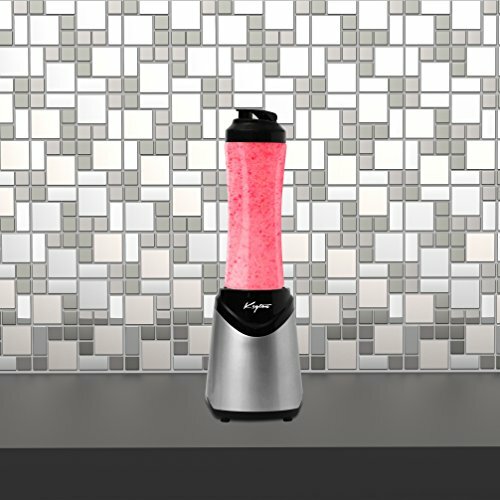 It has a simple one-touch operation, so it has never been easier to blend up a healthy drink for you and the family. 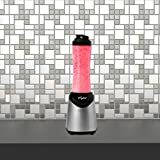 This is a super compact and easy to operate single serve blender that is more than powerful enough to whizz up delicious shakes, make smoothies, and blend icy drinks. 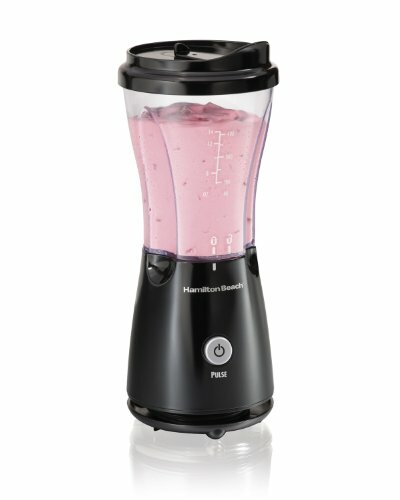 Featuring one-touch blending, all you need to decide is what delicious ingredients to pop into your handy Hamilton personal blender. It’s so convenient that the jar doubles up as a portable travel cup that will fit most car holders. 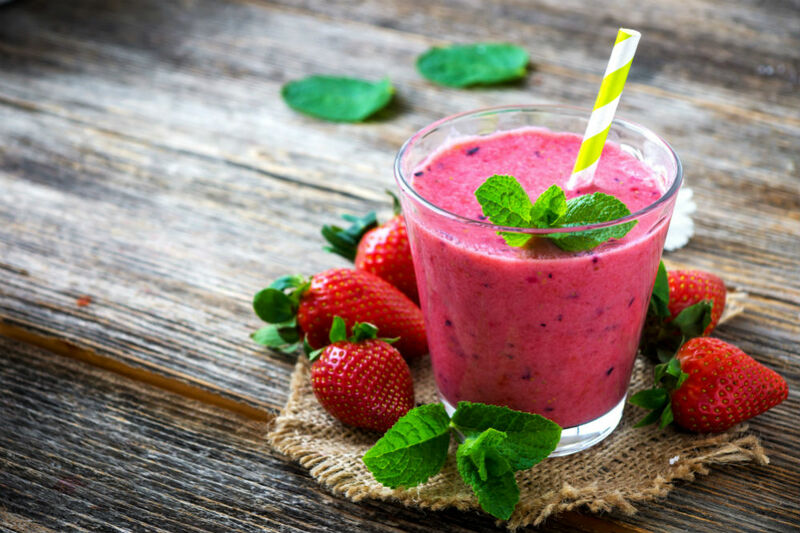 Perfect if you are a busy mum dashing around or want to have a freshly prepared post-workout protein smoothie on hand ready to recover from your morning gym routine. This is an excellent budget choice for anyone who regularly enjoys a morning smoothie or shake. Why get out the big blender which will take up so much space on your countertop and require cleaning up afterward when all you want is a single serving of nutritious freshly blended juice or even an ice cold latte for yourself? With the Hamilton single serve blender, you are getting great convenience and versatility in a compact travel cup style design. A travel lid to drink from is also included, along with a handy recipe book full of delicious ideas. When you are done using your blender, it stores away neatly and conveniently, taking up minimal space. The cup turns upside down for discreet storage, and the cord neatly wraps around the base itself. This is a genius little one-touch, one-serve blender that will quickly become your best friend in the kitchen. What this Keyton Personal Blender may lack in size, it sure makes up for in power and sleek good looks. You won’t be packing this Blender away anytime soon. Once you start whizzing up a fresh protein or fruit-based shake, starting your morning the nutritious way, you’ll never look back. It is the perfect sized unit to create a healthy and delicious breakfast shake. Throw in some blueberries, banana, oats, and some fresh coconut milk for a seriously tasty treat. The only limits are your imagination. It is also portable in design too, so the BPA free 21 oz. container also comes with a separate sports lid so that you can enjoy your smoothie on the go. Great for college students who are short on money and time. Prepare them a nutritious smoothie in the morning, and they are good to go. It’s also fabulous for anyone who’s active and works out. Blend your favorite choice of protein powder, and you have a quick post-exercise recovery drink all ready to go. With its one-touch operation, its sleek design aesthetics, and also the handy suction free feature that prevents the unit from moving while you are using it, this has impressive features for such a budget-friendly price. For versatility, portability, and ease of use, any one of these three one-touch personal blenders would make a wise investment. Just pop in all your favorite ingredients, give it a good old power blend and either enjoy straight away, or pop on the secure travel or sports lid included so that you can enjoy a fresh and nutritious smoothie on the go. All three of these units are compact, easy to clean, and budget friendly as well.